Turntables have always varied wildly in price--from basic, cheap models, all the way to ridiculously expensive handmade audiophile models. Fortunately, the 'cheap' models are much better today than they were 30 or 40 years ago, allowing new and old music fans alike a chance to enjoy vinyl records without spending a lot of money. Here is our list of the best turntables available for less than $150. 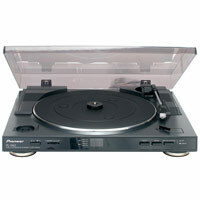 The Audio Technica AT-LP60 is a great turntable for the price. MSRP is $149, but it can be found easily for under $100. It's a basic turntable, but is well made, and comes with all of the accessories you'll need to enjoy 33s and 45s, plus record your records to a PC. Making this easier is a switchable preamp feature that allows you more flexibility what you can connect to it. 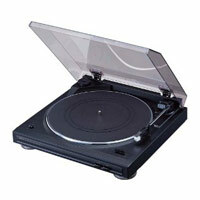 It's also very compact, so you won't lose too much shelf space to this great little turntable. Sony needs no introduction: Their products have set the standard for years, and this turntable is no exception. The big feature that this turntable has is USB capability, making it very easy to transfer the music from your records to your computer. It is fully automatic, making it great for beginners, or even old pros who want an easy to use system. It also has a switchable EQ for output flexibility. 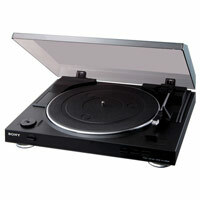 This turntable is a great choice for anyone who wants to digitize their music collection. The Pioneer PL-990 is a great choice for people who are looking for the best sound quality for the price. While this unit lacks the USB capabilities and pre-amp bypass that many other models offer in this price range, it does offer a high-quality motor and tone arm. It even has a pitch control that will help your records sound their absolute best during playback. The cartridge included with the turntable is also better than you would find in most other turntables in this price range. 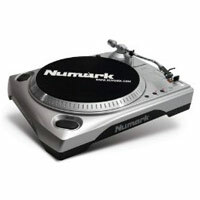 "Best Sound Quality With USB"
The Numark TTUSB turntable is another great turntable built specifically for digitizing your vinyl collection. With a USB connection (plus traditional RCA) plugs, this turntable is ready for any situation. This unit can handle 33s and 45s, and has the special ability to rip 78s and correct the sound with software. 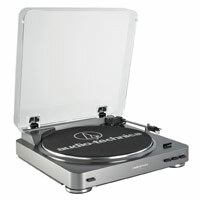 Another great bonus is that the cartridge is easily replaceable, unlike many other USB turntables in this price range. Denon has long been considered one of the great audio equipment manufacturers, and the DP-29F is a great way to get Denon quality for less than you would normally pay. The DP29F is a bare-bones unit that doesn't pack in extra features, but makes up for it with build quality. The turntable also has a very nice automatic playing system that only requires a single press of the button to both play and stop a single side of a record. If you're just getting in to the vinyl scene, you can't do much better than these turntables for the price. Whether you're looking for a turntable to transfer LPs, or just want to be able to listen to records, there is definitely something here to fulfill your needs. Pick one up, and enjoy the sweet sounds of vinyl records! If you’re in the market for a turntable for under $150 then just buy a vintage on craiglist, etc. In most major cities you can get a used Dual, Thorens, Denon, Dual etc for under a $100 and they will be just about as good or not better than a $400-500 modern turntable. I understand this post being for “new TT’s under $150”, but as an avid record listener and collector I don’t think I would allow any of my precious vinyl to touch these TTs. I don’t want to come across as a snob, but if this is your price point you’re better off buying an 80s vintage TT and a new Shure cartridge and still have some money left over for a record or two. Right said! Spending $150 or less on a turntable on which you will be spinning $25 – $35 dollar records (at current retail) is senseless. Either buy yourself a good vintage turntable in working condition and replace the cartridge or fork over $250 for music hall usb, $299 for u-turn or Project or better yet $450 for Rega RP! and enjoy your records the way they were meant to be heard.